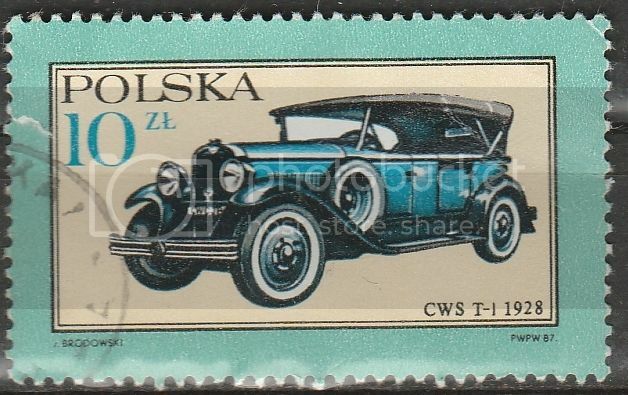 This is a thread for stamps featuring cars. Please post pictures here. I was surprised that I did not find such a thread in existence. Hearty apologies if I have missed it. A 1992 stamp from Spanish Andorra, SG 230. The main car shown is the Benz Velo - according to Wikipedia, regarded as the first standardised car. The first ones had a 1 litre 3.5 hp engine, and later ones a 3.5 hp engine giving a top speed of 13 mph (19 km/h). About 200 were built in 1894 and 1895. The car was soon widely imitated. From 1886 to 1893 Benz produced the first commercially available motorcar, which was the three-wheeled Patent-Motorwagen. The Velo superseded it. Although there's not a thread on cars, there is one on transportation. I think cars merit their own space. 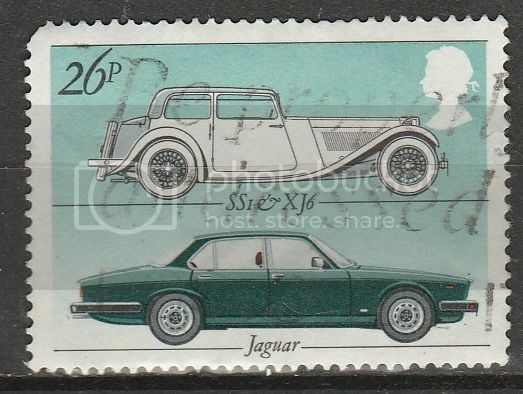 I think I have a few other stamps showing vintage cars - must track them down. In 1970 Hungary issued a set of 6 stamps showing old cars. 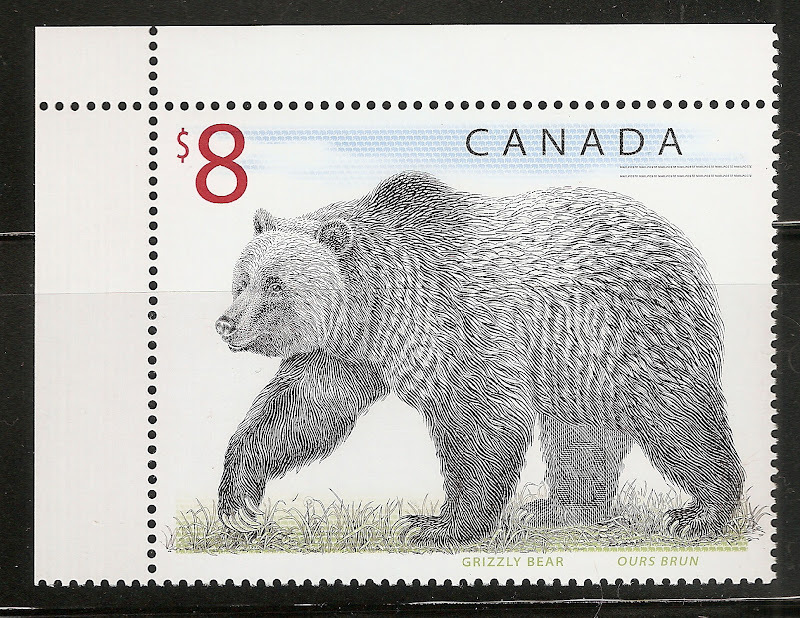 I have three of them (the stamps, not the cars). Here is a Peugeot from 1894. I love the dresses - they don't wear them like that anymore. Here is a 1901 Benz from the 1970 Hungary set, complete with dresses a personal servant to start up the engine, and a chauffeur. My third stamp from the 1970 Hungarian set features a 1902 Cudell. Cudell - a German firm - made cars from 1898 to 1908. Until 1904 they were manufacturing under licence from the French firm De Dion-Bouton. Cudell ceased making cars in 1908, concentrating on marine engines. Hungary issued another set of car stamps in 1986, to mark the centenary of the motor-car. 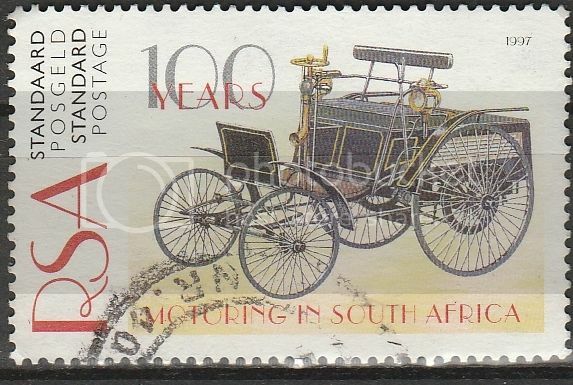 Each stamp shows one older and one modern car. Here, for aficionados of racing cars, is SG 3701 with Ferraris of 1961 and 1985. From the 1986 Hungarian set, SG 3702, showing Alfa Romeos of 1932 and 1984. More for racing car lovers. SG 3703 from the 1986 Hungarian set: a Volkswagen Beetle of 1936 and a Porsche of 1986. Hungary SG 3704, 1986 - a Renault 14cv of 1902 and a Renault 5 GT Turbo of 1985. SG 3705 from the 1986 Hungarian set, showing Fiats of 1899 and 1985. I'm not a car person, but this showed up in my mail box recently, so I thought maybe someone might like it. Funny, I thought I already posted my car stamps here.... catching up will take a LOT of time!! I cannot wait to see what you get busy posting! !